Ferris Wheels, Bumper Cars and Cannonman! In December I wrote about 7 Great Resources for Maths teachers and parents and one of my top seven was the Desmos online graphical calculator, a great resource for plotting graphs and functions. They’ve now added to their stable of offerings and I’ve recently used their new “Function Carnival” app, and I have to say, its brilliant! Pupils watch a short animation – a man being blasted from a cannon, before parachuting safely back to earth, bumper cars bumping or a Ferris wheel spinning – and then they have to plot a distance time graph of the event. 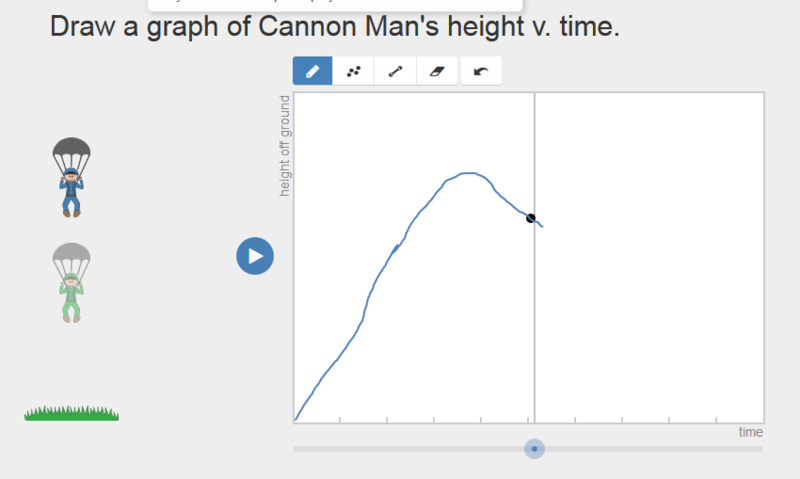 They then replay the animation and this time their cannonman (or bumper car or Ferris Wheel) is superimposed over the actual cannonman (or bumper car … ) so that they can check the accuracy of their graph. It has brought the Shell Centre for Mathematics graphs into the 21st century. And, as a teacher, you get a great dashboard which collates your class’s answers, so you can quickly and easily see who has done what, who has done well and who needs some help. Below are a few screenshots, but rather than me try to describe it, head over to “Function Carnival” and have a play, I think you’ll like it. I tested it with a bright year 9 class, working with iPads, but you could just as easily use it with desktop PCs and I’m sure it would be valid for many age groups and ability levels. Oh, I had a question about the site, so I fired of a support ticket and had an answer within 24 hours – thanks Desmos for the great support as well as the great resource. 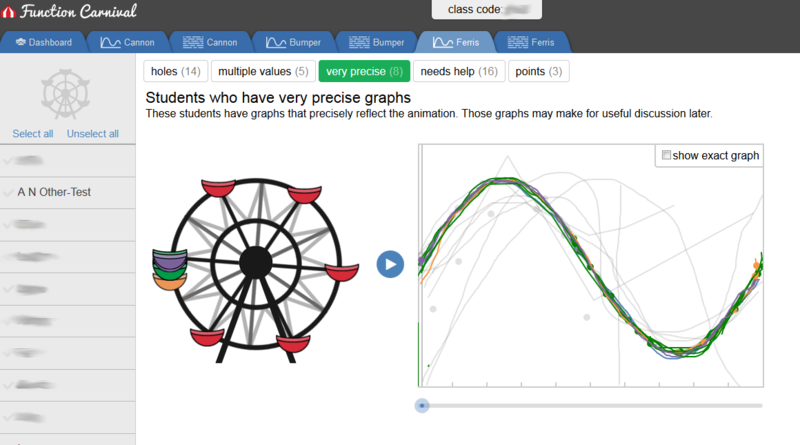 And I’ve made a mental note – the Ferris Wheel example would make a great introduction to the Sine Curve. This entry was posted in Teaching Tips. Bookmark the permalink. Post a comment or leave a trackback: Trackback URL.